Why is Amazon entering the movie-making business? Amazon Studios boss Roy Price cites two big reasons. One: "You can control the windows. So you can control when it premieres digitally." Two: "You can have a hand in choosing what the movies are going to be. What they're going to aspire to." Amazon (AMZN) wants to make movies that will be loved and remembered by people for years. The plan, announced last week, is ambitious and potentially disruptive to Hollywood's entrenched ways of doing business. But to hear Price tell it, it's good for all parties -- filmmakers, movie theaters and consumers. "I'm very hopeful about the next 10 years in independent film," Price told CNNMoney in his first interview since the Amazon Movies announcement. He was at the Sundance Film Festival, schmoozing with movie producers and eyeing possible acquisitions. He said Amazon would like to begin streaming its own original movies on Amazon Prime Instant Video later this year. But the release strategy will really ramp up next year, in 2016, with a once-a-month goal. The movies are intended to be released in movie theaters first, then streamed on Amazon Prime four to eight weeks later. Price depicted this as a compromise of sorts, a "middle ground" in the tense debate about the future of movie distribution. "There's gotta be a balance," Price said. "There's a real role for theatrical ... but the people who are making the argument that films should come into digital soon are totally right! Of course it should. Certainly it should come to digital sooner. So this is our attempt to try to find the middle ground." It remains to be seen if movie theaters -- particularly the big chains that control most of the country's movie screens -- will support the plan. Price said he expected movie-makers to support it: "If you get the movie to the audience sooner, when they still remember the movie, the demand for the movie will be greater. And if you're doing this on a regular basis, you create a more vibrant demand and business for independent film, the whole business is better. And there's more money." More money to make more movies, that is. Amazon is looking for projects -- both to produce and to acquire -- that are "mid-budget," roughly $5 million to $25 million. The company won't be backing "big-budget superhero movies" or "$100 million animated films," he said. Nor will the movies be, he said, "super-mega-esoteric." For now, Amazon is focusing on dramas and comedies, not documentaries. "But there is a big demand for documentaries on Amazon, so we'll have to figure that out in time," he said. Price said the company has been talking about potentially making and acquiring movies for years, but wanted to pursue TV shows first. It now has several original shows, including "Transparent," and more in development. The plans for the original movies division came together in December, and earlier this month the company hired veteran producer Ted Hope to run the creative development. "We don't want to just make movies," Price said. We want to make GREAT movies that people care about, that are memorable." He added: "There are movies people talk bout for zero time. There are movies people talk about for two weeks. And there are movies people talk about for two years or more. Let's try to be in the 'two years or more' business." What are examples of those "two years" movies? He named "Birdman," "Her," and two movies that debuted at Sundance last year, "Boyhood" and "Whiplash." Asked if he would have tried to buy those two movies if he'd been at Sundance last year, he said, "probably, yes." He joked that he was looking for "Boyhood 2" at the festival this year. 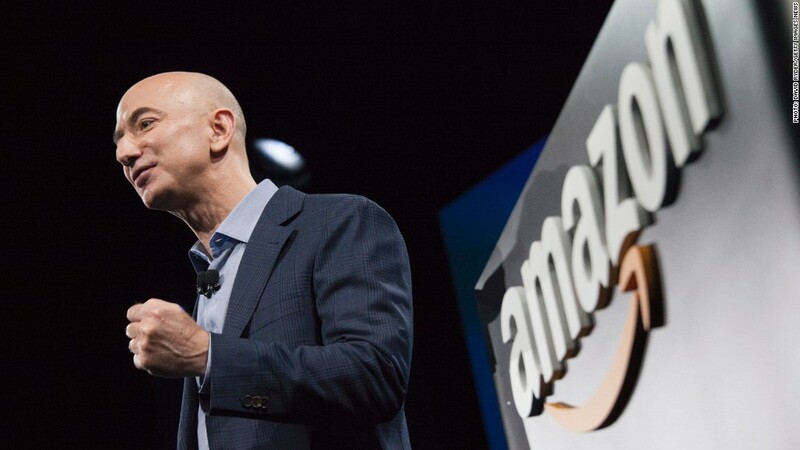 How involved is Jeff Bezos in Amazon Studios? Price said he didn't feel like an acquisition at Sundance was a "must-have," but would be "nice to have." "If we see the right thing here, we're ready to move," he said. For Price, like many who speak the language of Silicon Valley, it comes down to what consumers seem to want -- in this case, both theatrical and digital releases. "Obviously, seeing movies in theaters is a great way to see movies," he said. "Filmmakers want to see their movies in theaters. Customers want to see movies in theaters. I think the ideal program for indie film respects the unique role and hopefully permanent role of theaters in the process." Price asserted that an online release of the movies "like 6 weeks" after theatrical release makes sense. At that point, he said, "I can still remember the commercial. I still maybe read the review and I remember that. I'm still interested and I'm excited when I see it on the service." That sounds like the "middle ground" he talks about -- if he can get theaters and filmmakers to back him up.